Most of the people are using the free websites of blogger by part of Google Service. But recently many websites providers the Free blogger service which is increase the Competition between them. The company of blogger also introduce new facilities for their Service and attract their readers . In this status, they introduce new components today. these new facilities mainly created through appear the blogger in search engines best links. 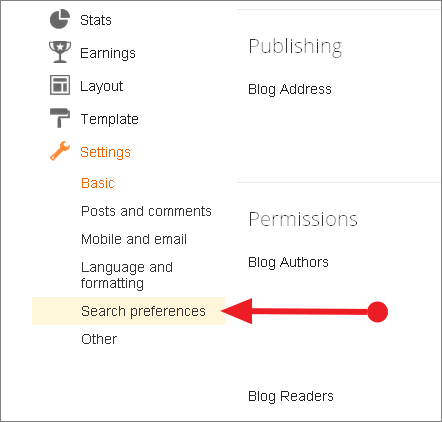 At the first, In the new screen of the dashboard section of blogger, you select the Settings option. in hear you have seen a new facility "Search Preferences" Click it. The next window open it. They are three divided areas here. 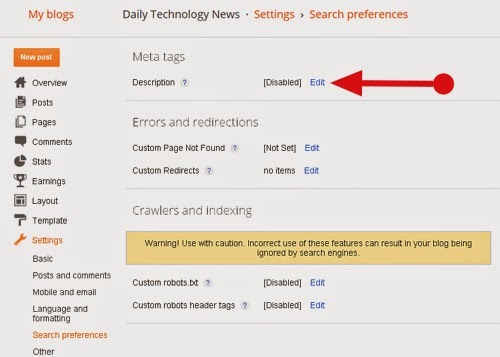 those are Mata Tags - Errors & redirection - Crawler and Indexing. We would be looked each of one. Who they search in your blogger service through the search engines, Their for If you mention your blog address and the small description about your blog it's easy fro readers to know what are the things include in the blog site. 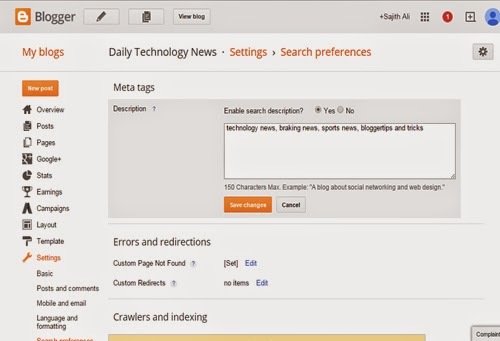 then Click Edit button of meta tags. In the section of Enable Description If you select YES. There is a small box. open there. here you give the blog description In that box. And click the save changes button. on the bottom of the page. Here after, your blog search engine appear with this Description. Sometimes If we click the link of incorrect or erased record in our blog, may be observe the thing that "Page not Found" here after, for the replacement of that news you choose to add your favor short briefly information . First you could be clicked the like of Edit Then you type information on that box. after at the bottom click "Save Changes Button and Store it"
you maybe wrongly delete the record. but you keep that backup also in your blogger. Then the URL is changed when you upload and Publish again but for a sample the old URL is shown by the search engine. In that situation it has a facility which help to redirect the readers who they enter in the old address for get in to the new page. In this section give the old address for component for m and give the new address for URL and keep save it . Then the new page automatically redirect who entered the old page. The Google search engine do the work for in index in lakes of webpages by using the 'rebot' Automatic System through the internet. They index the record by that system here every pages will be update by google in your webpage. If you think to hide some pages in google (e.g Contact me page). If you give the URL, then it is not shown by google. If this information is useful to you, then share with others. There’re four streams in consensual advanced level .those are: Arts, Commerce, Bio science & Physical science .and now technology stream also introduced. 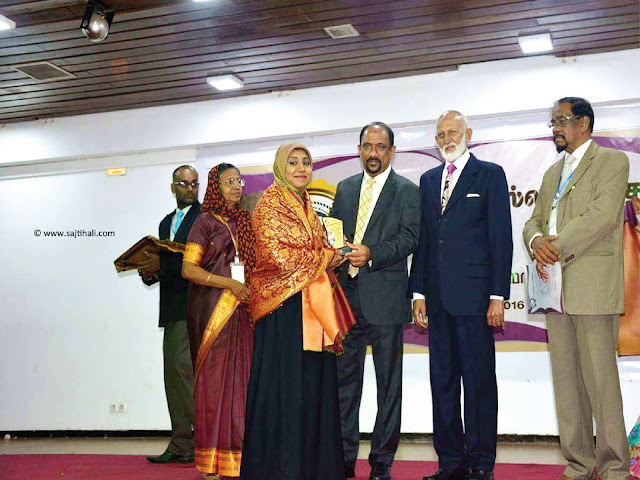 Historically, this is very important turning point in Sri Lankan school education. Youth affairs and Development ministry, Ministry of education are designed this scheme. it has two sections, Engineering technology &Bio-Science technology. The priority given to the Technology stream for the aim of increase the opportunities of the job market. it’s goal is not only get the knowledge, additionally give the practical session to the students & make them as a qualified persons in the job market. Whole Ceylon , there’re 200 schools only have this stream. the education ministry said, most of the school get this chance in future. Includes Mathematics, Science passed 6 subjects in O/L. if you get any 3 distinction passes you can select technology stream. same as o/l here also the student’s hidden talents explore by this opportunity. If the students more consider about this matter, they get graduate, diploma certificates. In Engineering technology has civil engineering technical education & trainings. In bio science technology has given the technical knowledge & training in chemistry, physics, biology, psychology. Accept those two subjects they want to select any of one subject out of other 10 subjects. Economics, Geography, English, Agriculture, Commerce, Accounting, Home science, Art, Communication & Media, Information and communication & technology are acceptable subjects. In here, students want to go to nearer technical college or engineering institution for getting the practical session and skills improvement of Bio science Technology & Engineering Technology studies. The youth skill development ministry is doing such works. like provide teachers for technical subject, make job training facilities for their practical, assume the marks for their practicals. The writing exam for 3 subjects will be in after completing 2 years .here 75 marks for writing marks of Bio science Technology & Engineering Technology subjects. Balance 25 marks given for their practical’s .who gets higher results in this stream they can get the entrance at excepted universities & be a university graduate. The university grand commission decided to start faculty of technology in 2015 of every universities. Students also joint with them. The youth skill development ministry newly start universities students will be get Diploma, Higher Diploma & Graduate status. 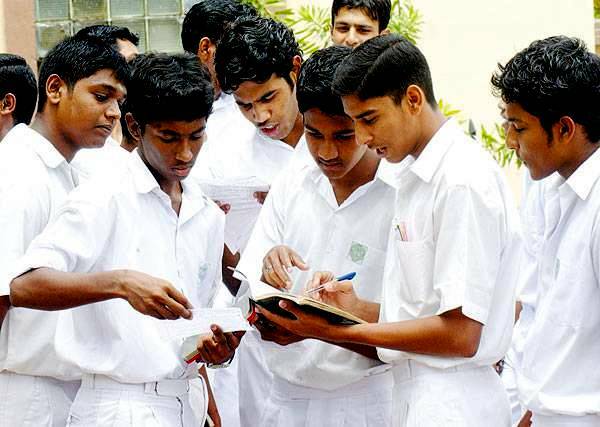 they must study in four years or get training at Katubedda German Technical college, orugodawatta driving technical institution & Kattunayeka engineering technical college. If they failure in passed the exam. but also they can get NVQ Level –iii for their technical college training is given by the talent improvement ministry. The NVQ Level –iii holders find a proper job. If not they join with Electrical and Electronic Engineering College or Technical College by approved to NVQ level for 18 months & get NVQ Level –iV. There after directly enter the university & be a part of B-Tec graduate.